Senior Honors student Hannah Mathes poses with President Lincoln in downtown Bloomington. 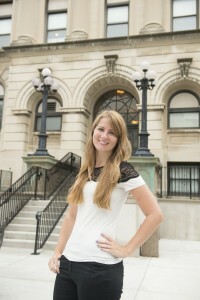 Senior political science major Hannah Mathes came to Illinois State University as a transfer student after completing two years at Heartland Community College. 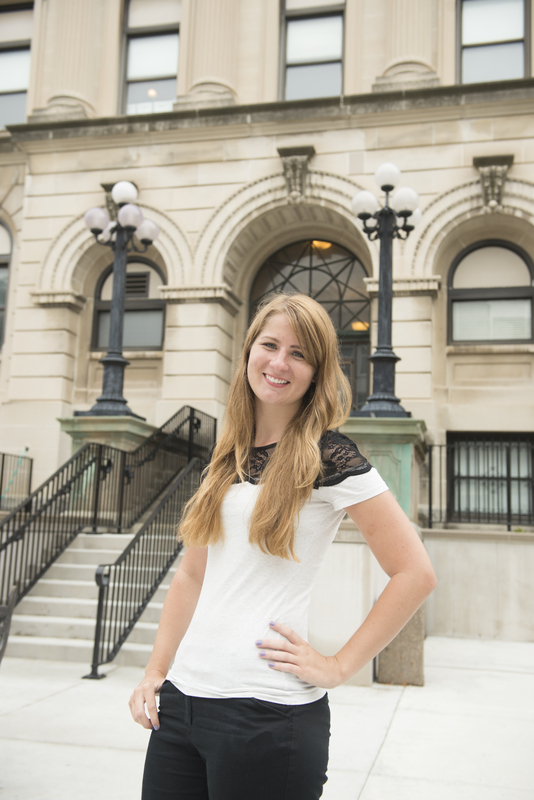 She decided on Illinois State because of the bond she felt with the University, and she joined the Honors Program for the tailor-made opportunities that it presented for her. “I found it challenged me in a really good way,” Mathes said. Through the Honors Program, Mathes has been able to personalize her learning and produce creative, unique projects in her classes. For her Politics and Public Policy class, Mathes put together a poster presentation about presidential executive orders. Mathes learned about her leadership style through her Honors Contract experience. Mathes also wrote a research paper analyzing the personalities of great leaders. She studied popular personality/leadership inventories, and then researched leaders who possessed similar traits to her own so that she could better understand her leadership style. These projects were part of Mathes’ Honors Contracts, a flexible and personalized Honors Learning Experience that dives deep into the subject matter of a course, or focuses on a student’s area of interest within the subject. The Honors Program encourages students to explore their creativity and connect what they are learning in different classes to the world around them.